Longboat Key, long coveted for its stylish vacation resorts, is also attracting visitors in droves thinking investment options in the Sarasota Florida real estate market. Longboat Key, a pristine barrier island divided in half between Sarasota County in the south and Manatee County in the north, offers a broad range of housing possibilities for almost all budgets and lifestyles. 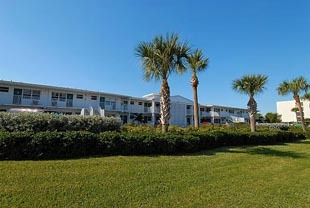 It also affords offers seemingly limitless activities for the whole family from breathtaking beach parks, championship golf, professional level tennis, pleasure boating, and numerous natural educational venues. Condominiums are a popular option for those looking to invest here and condos for sale on Longboat Key will appease the economic abilities and lifestyle tastes of those lucky enough to reside on its pristine shores. You can find premier condo communities overlooking expansive private sandy beaches where residents are able to enjoy untold amenities, attractions, and activities within a few minutes’ bicycle, motorbike, or car ride. Including the breathtaking vistas of Sarasota Bay and the Gulf of Mexico, you are in the lap of island paradise life like no other in the world. 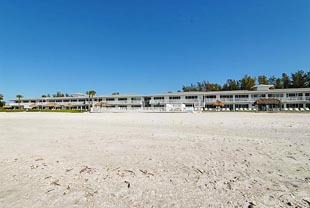 Immediate beachfront access is the main feature of the condos for sale at The Diplomat. Known as one of Longboat Keys older and most revered condominium complexes it also presents very affordable opportunities for positive investment. Built in 1960, it’s located at 3155 Gulf of Mexico Drive and is a rare development as it allows rentals on a short term basis for optimum revenue generation. Tasteful amenities included are a beachfront pool, shuffleboard, tiki huts, bbq picnic area, and the fabulous sunset panoramas Longboat Key is known for. These Key West style residences were built in an extended two story structure situated parallel to the coastline evoking the charm of an older era of class and sophistication, while nestled on the water’s edge. Quaint studios to 2 bedroom configurations boast floor plans from around 416 to 1113 sq feet and featuring sumptuous appointments for such reasonable price points. The Diplomat condos for sale are typically prices from around $193,000 to the $486,000 range and money well spent as you are within minutes of most everything you would need. The Diplomat complex and its central location put it in an envious position for discovering treasures Longboat Key brings to its residents and guests while maintaining the peace and prestige of a high end lifestyle. The fine dining venues, exotic marine attractions, distinguished recreation, and the magnificent sunsets are all a magnet for people looking for life on the beach. Lay at the private beach with a book or watch yachts cruise past your wall to wall, floor to ceiling windows. You deserve it. It’s time.